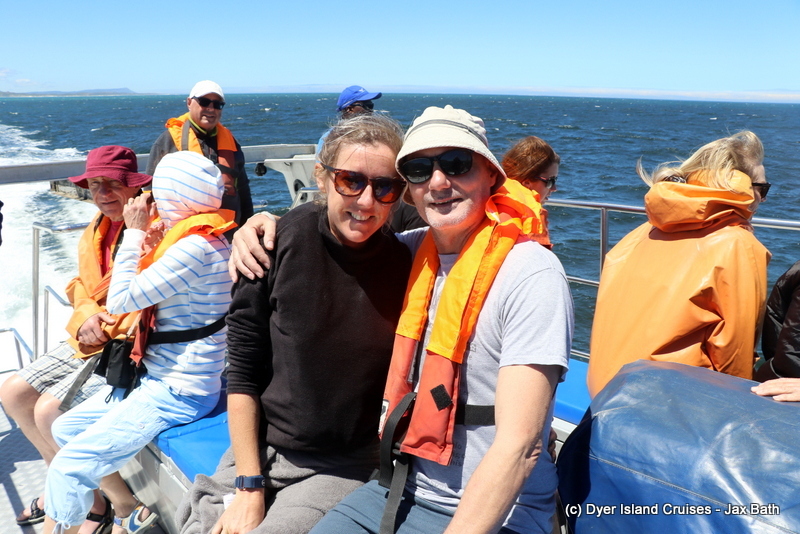 We had a lovely time out at sea today, moving up and down the bay and visiting The Shallows twice in the hopes of finding some Sharks over at Slashfin, unfortunately, activity was very slow today and we were unable to see a Shark, though we got very lucky the second time around, spotting Claw. 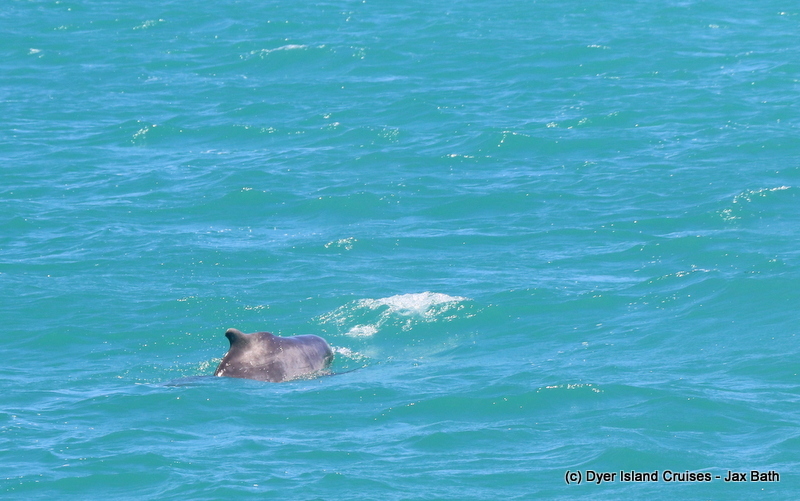 Claw is one of our most iconic Humpback Dolphins, and so we’re always really glad to see her hanging about in the bay. Her being alone was a little strange, seeing as she has a rarely young calf, but we hope that she will soon reunite with baby as well as some other Humpbacks and that we’ll be seeing her soon. 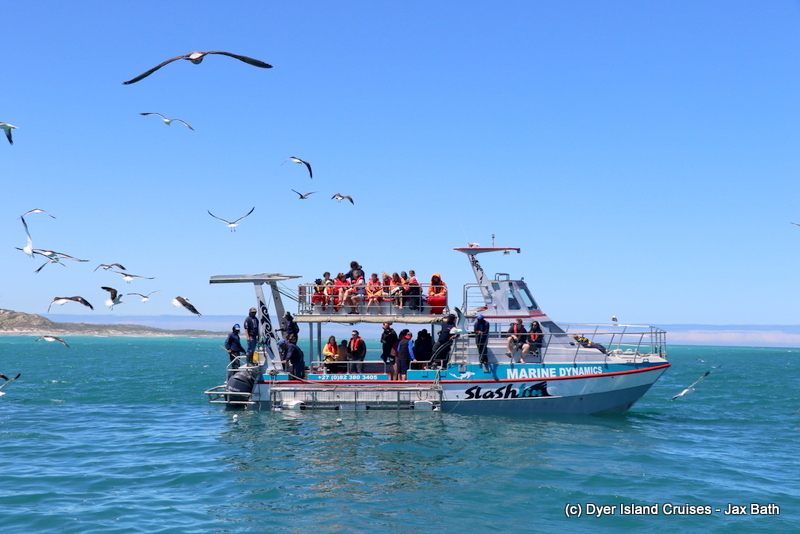 Other highlights of today’s tour include a little African Penguin, which we spotted whilst travelling along towards Dyer Island. We had a lovely time watching this little bird and got some up close views as he moved closer to his home on Dyer Island. We also took a stop at the island itself, spending some time listening to the call of the Swift Terns and taking in the smell of guano as we admired this birding paradise. 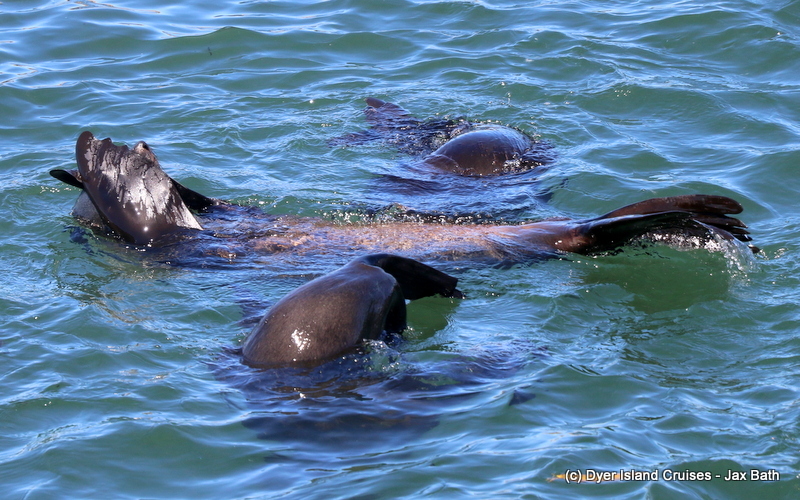 Our stop at our Cape Fur Seal colony was as eventful as ever, with our playful fur seals putting on a little show as we paid them a visit at their home. 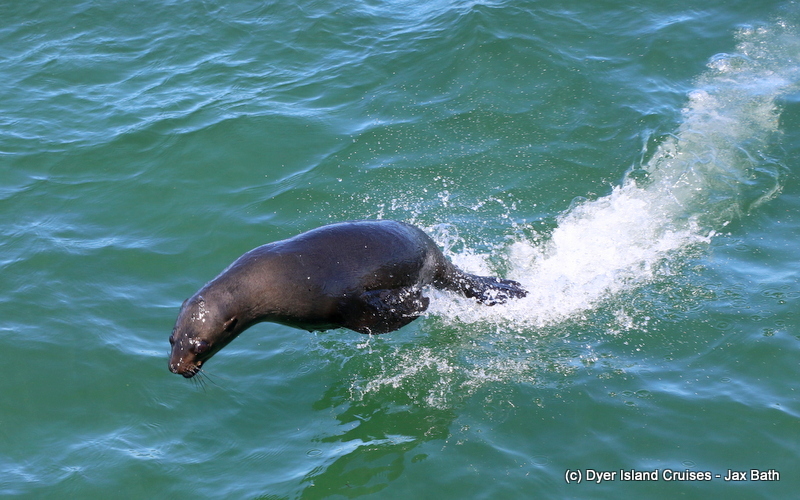 Over the last few days, we’ve had lots of seals jumping about, which is incredible to watch as they torpedo out the water. We also have our pups who are still learning to swim , which is always a treat to behold. We also got the wafting swell of the stagnant pools of Geyser Rock, which tends to heat up in the sun. 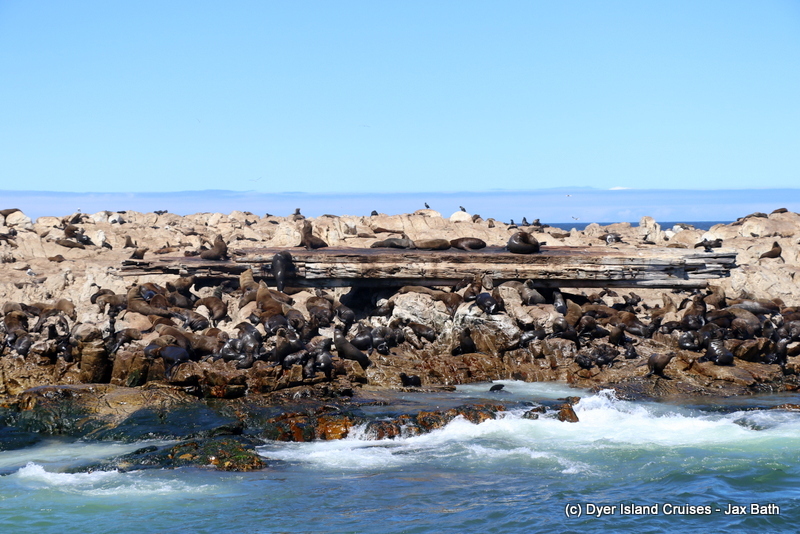 after viewing the seals, we also spotted some Giant Petrels hanging out just outside of Shark Alley. Waiting for their Sunday lunch to float out the alley, the birds were congregated together between the kelp, and we got to watch as they attempted to fly, running on the water to get some lift. 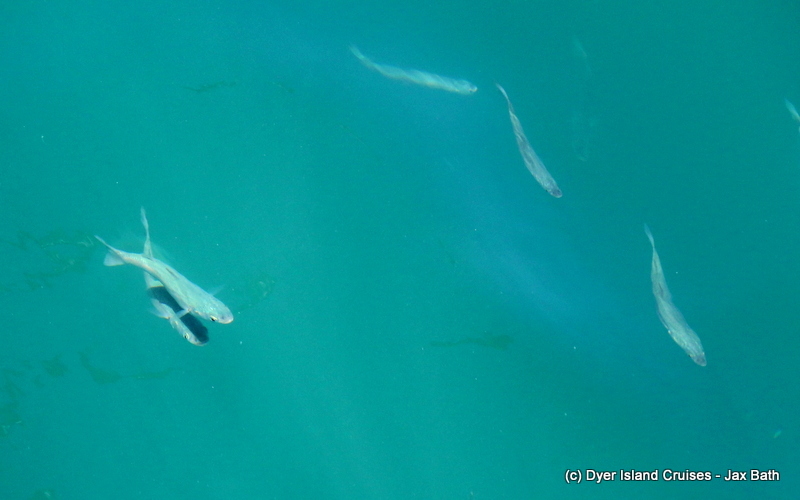 Some Southern Mullets milling around in The Shallows. 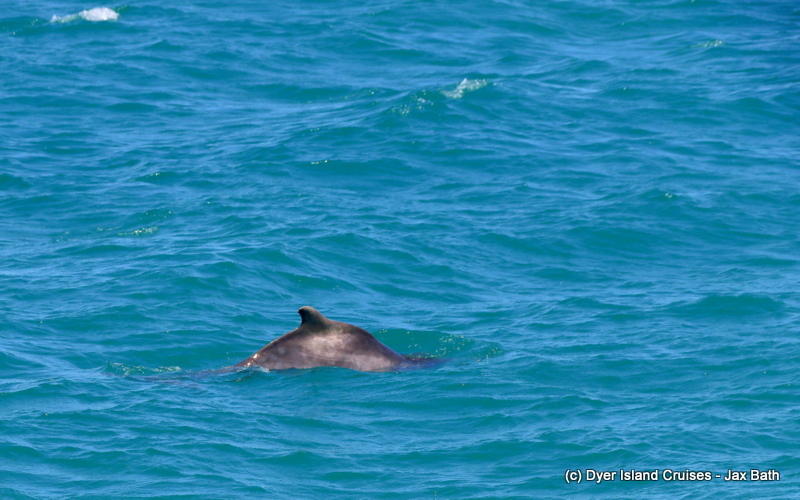 Interestingly, this Dolphin’s closest dorsal identification match was Claw, who is usually seen with her calf and other dolphins. We first spotted Claw travelling in really shallow water, but luckily, she came out a little closer to the boat as we approached. 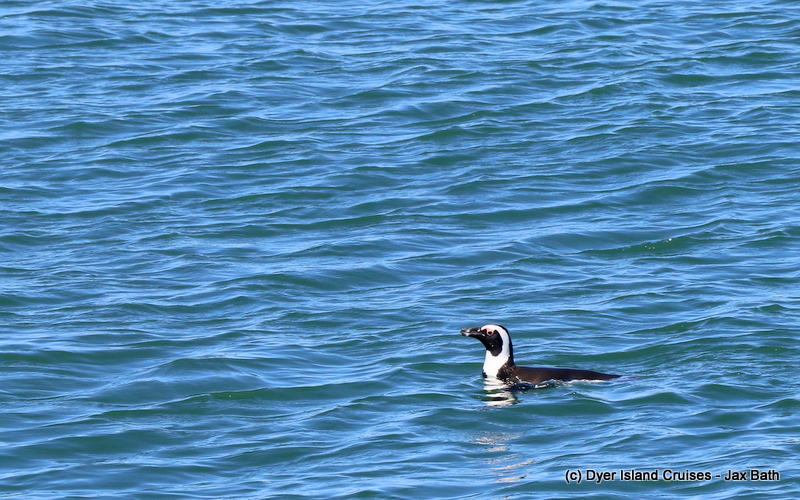 An African Penguin we spotted just in front of Dyer Island. 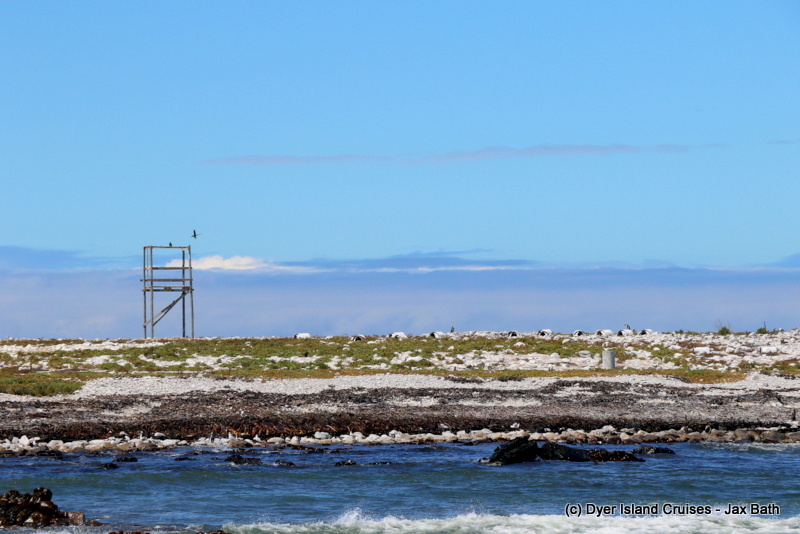 Dyer Island with some of our African Penguin nests. The Prince Port with some sleepy seals. 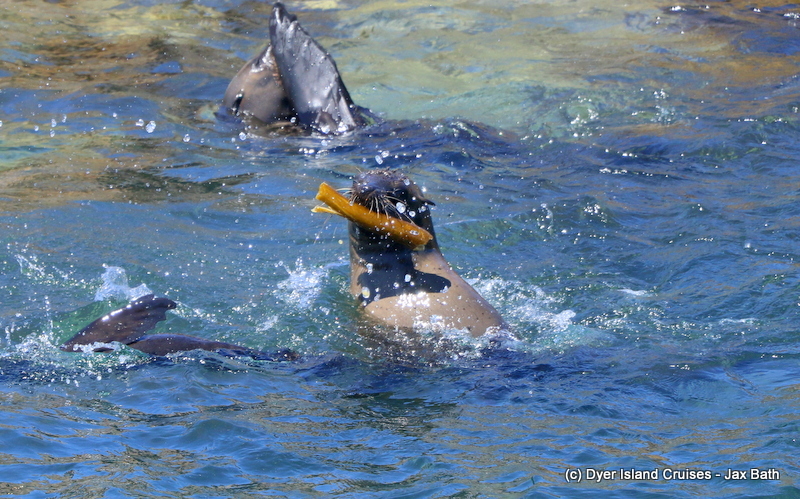 Some seals hanging out in Shark Alley. A seal with his toy. 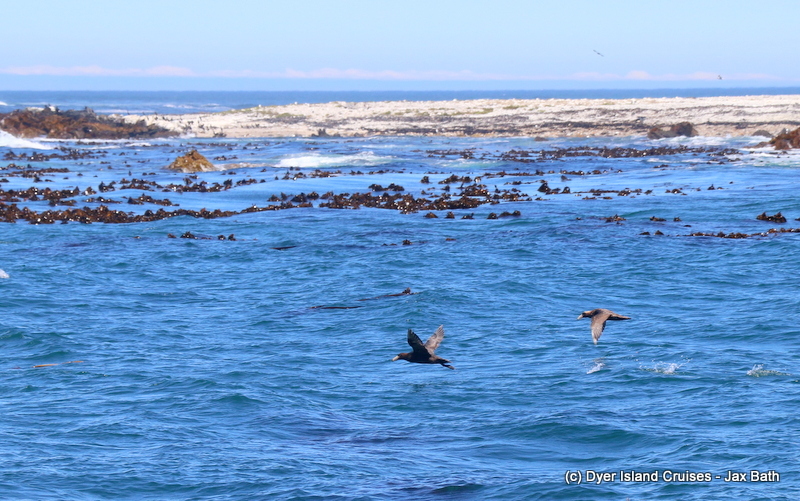 Two Giant Petrels trying to take off in Shark Alley. Our sister company’s boat, Slashfin.